The vows have been recited, the bouquet thrown, the cake eaten -- all that's left to do is sail far, far away from ceremonial stress. A honeymoon cruise offers all the comforts and whimsy of a ship at sea, but also provides the perfect destination (whether that's a beachy background or a thrilling new metropolis to unravel each day) for the newly betrothed. With so much planning (seating charts that were harder than your SATs), it might be tempting to book your cruise without giving it any thought. But, that could be a mistake. Destination, cabin category and dining options are all important aspects to consider when planning and booking your honeymoon cruise, and they can make all the difference once you board. Take a few moments between studying Pinterest for centerpieces and arguing with your future in-laws about invites to read our seven tips for having the best honeymoon cruise possible. When all is said and done, you'll be able to check it off from the best-moments-of-your-life to-do list. Treat yourself to a nice room. Register for a honeymoon cruise fund. Don't be afraid to advertise your status. Even if you don't plan on leaving the ship, choose an itinerary that makes sense for your honeymoon needs. 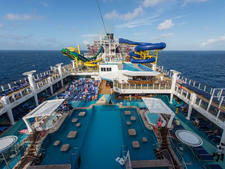 Don't pay extra for a cruise that visits European capitals if you'd much rather spend your days unwinding by the pool. Sightseeing can be rewarding and romantic, but it's also energy depleting; after the whirlwind of wedding planning and executing, you might be looking to do nothing. On the contrary, make sure you book a sailing with immersive port stops if you are the kind of couple who can't sit still. 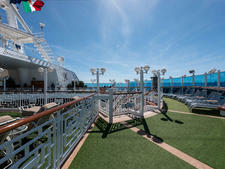 Look for cruise lines that do overnights in major ports to give yourself more time for exploration. Many cruise lines -- like Norwegian and Celebrity -- offer Bermuda cruises that only call on King's Wharf, but allow you to spend two or three days digging your toes in pink sand. Another bonus of spending more than a few hours in port is being able to see a city by night -- there's something alluring about spending time in a foreign place under the cover of darkness. Whether you attend a traditional Hawaiian luau, eat dinner in sight of the Eiffel tower or grab a drink at a swanky rooftop bar in Hong Kong, consider what your vision of a dreamy backdrop is before booking your honeymoon cruise. 2. Treat yourself to a nice room. A balcony cabin isn't a bad choice, but (ideally) you only honeymoon once: Consider splurging on a suite. The perks of a suite on nearly every cruise line go beyond the square footage. Think pillow menus and oversized showers are luxurious? Try butler service with a personal concierge. If you don't feel like going to a restaurant for dinner, have the same dinner sent up to your room -- heck, have your butler set it up on your balcony so you can dine alfresco in private. 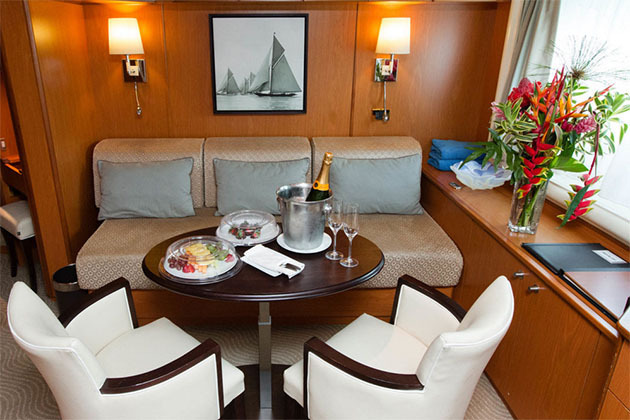 Suite perks vary by cruise line, but can include priority embarkation and disembarkation; access to reserved seating for shows and events; a designated suites-only restaurant, sun deck or lounge; even a welcome bottle of sparkling wine with a fruit platter to match. Your honeymoon should be more than just an average vacation; the stratosphere of suite level gives it that extra edge. 3. Register for a honeymoon cruise fund. If you're the sentimental type, take photos from each excursion and send them to the wedding guests who contributed toward the cruise (or specifically, the shore tours). It's a nice touch that says: This was way better than a blender! Next to love, nothing nourishes the body and soul quite like food. While the days of assigned seating have passed (virtually every cruise line offers some type of flexible dining), you still have to feast among the masses unless you plan ahead. 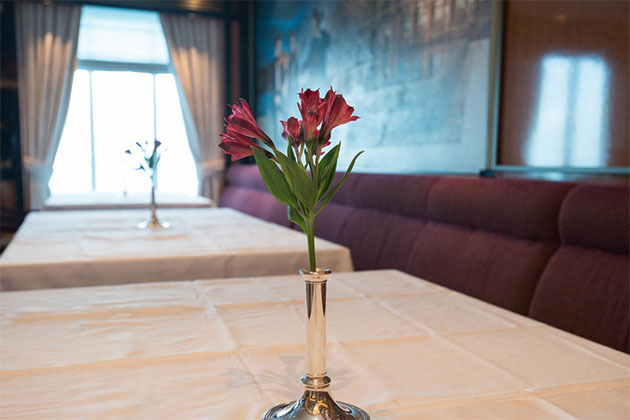 Main dining rooms are a free way to enjoy the cuisine du jour, but be sure to let your maitre 'd know you would like a little personal space at the start of your honeymoon cruise; a scenic table for two nestled in the back of the restaurant near a window can feel intimate, even in a large room full of other cruisers. Another option for newlyweds looking to spend a night out onboard is to book a reservation at a smaller specialty restaurant. These venues charge a per-person cover (or are a la carte), but the return is a more upscale ambiance and higher-quality dishes. Book before you sail to guarantee your table. Foodie honeymooners might want to consider a cruise ship that offers a Chef's Table. If the two of you bond over gastronomy, a night spent doted on by the head chef and sommelier is worth the added cost. On a trip intended to focus on just the two of you, solitude is key. Cruise lines like Princess, Royal Caribbean and Carnival offer sumptuous adults-only sun decks that won't cost anything extra and provide amenities like secluded hot tubs, padded loungers and even hammocks built for two. But depending on how large your cruise ship is, you might be sharing these spaces with a hundred other people. 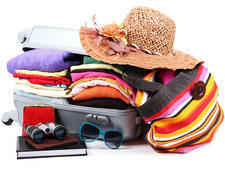 For something more intimate, check to see if the cruise ship you're considering has any limited-access areas. Norwegian Cruise Line's newest ships, for example, feature Vibe where crew members mist you with Evian water and provide fruit skewers; this option offers an even quieter slice of at-sea seclusion. 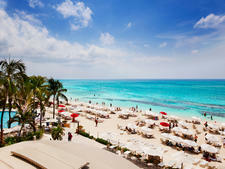 Or look for rentable cabanas by the main pool, in adults-only areas or on private islands. Another option is your ship's thermal suite, an area dedicated to total rejuvenation with saunas, steam rooms, thalassotherapy pools and heated ceramic loungers. Thermal suites vary from ship to ship; a weeklong pass usually provides the best value, and allows you and your significant other to soak up the muscle-relaxing bliss anytime you like. 6. Book a couple's treatment. In the spirit of your honeymoon, look into treatments for couples. 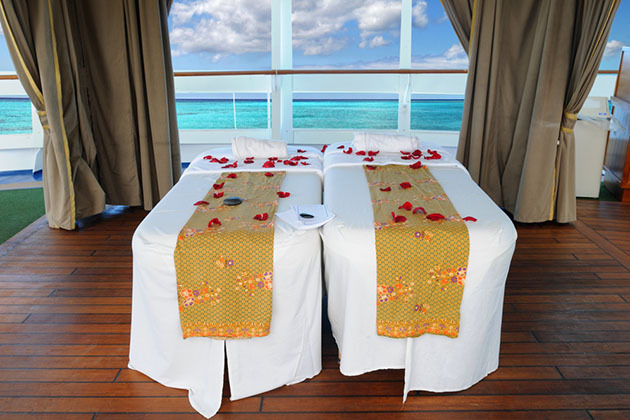 Cruise lines offer couples' massages in the spa and, occasionally, in your room or on the beach in a tropical port. If the line allows you to book spa treatments early, do so -- couples massages sell out very quickly. Apart from the massage, extras might include a private space to relax with your loved one before or after the treatment. 7. Don't be afraid to advertise your status. You might not get special treatment at every turn by identifying yourself as a honeymooner, but if you have a travel agent who specializes in cruises and has a good relationship with your cruise line, you might get some amenities at no charge. Don't count on anything, but do ask your agent to let the line know you're on your honeymoon. Disney Cruise Line even offers badges you can wear if you really want to milk the occasion for all it's worth. Many major cruise lines host a version of the Newlywed or Not So Newlywed game show, where couples compete in an often-silly quiz show. Although it requires you putting yourself out there for potential shipwide embarrassment, other passengers will get to know you (cruise ship famous!) 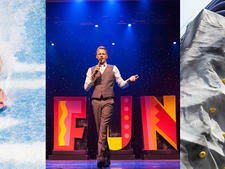 and many times, participants leave with a prize just for being good sports -- think sparkling wine or onboard credit.